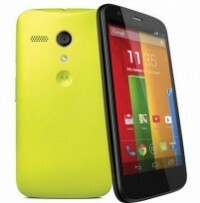 ALL New Affiliates who have signed up January, 2014 and can generate at least $1k by the end of the month, receive a FREE Brand New 8G Motorola Moto G Phone! The Moto G is the newest Google designed phone by Motorola which features the sharpest 4.5” HD display in its class, all-day battery, quad-core speed, Android 4.3 with guaranteed upgrade, and colorful back to customize your phone. Not sold yet? There’s more! We’ll also include 1% cash back on ALL revenue generated for the next 2 months after that!. That’s right, you can have a brand new phone in January, and cash back on all revenue generated in Feb and March. More details may apply - contact your Account Manager for any questions.